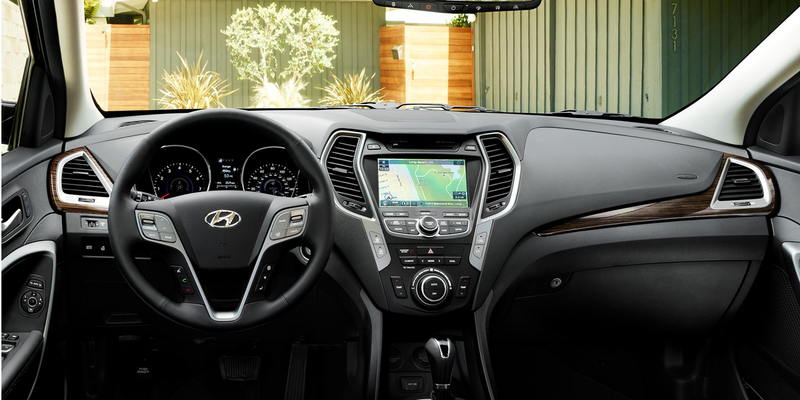 Whether in 5-passenger Santa Fe Sport or 7-passenger Santa Fe form, Hyundai’s midsize SUV delivers a quiet, comfortable, nicely appointed cabin and the all-around versatility that SUV buyers need. Several desirable options are available only in pricey packages, and the Santa Fe’s 3rd-row seat space is a bit tight. 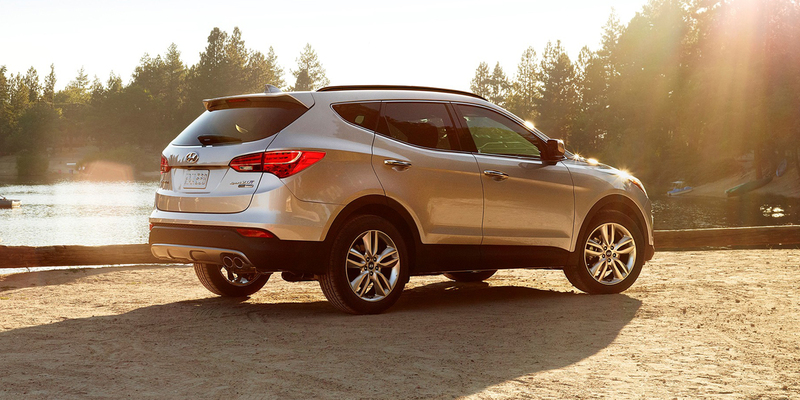 Upscale available features for the Santa Fe and Santa Fe Sport include a panoramic sunroof, heated and ventilated front seats, and heated 2nd-row seats. The Santa Fe and Santa Fe Sport are Hyundai’s midsize SUVs. 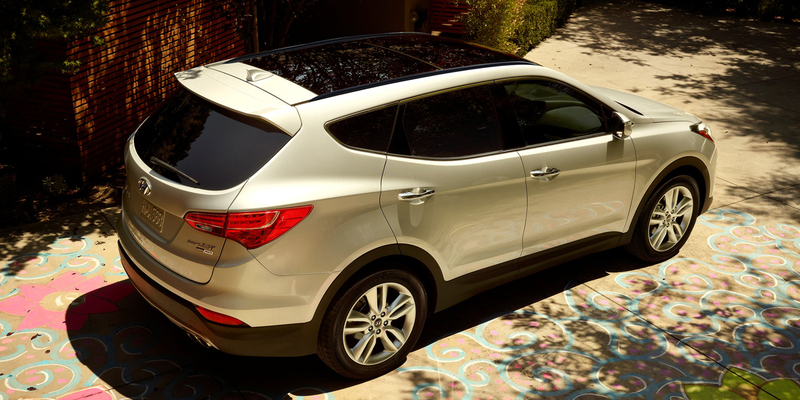 The Santa Fe offers three rows of seats for six- or seven-passenger capacity. The shorter Santa Fe Sport has two rows and seats five. The Santa Fe Sport offers a choice of two 4-cylinder engines: a 190-horsepower 2.4-liter or a peppy turbocharged 2.0-liter with 264 hp. The Santa Fe’s lone engine is a strong 290-hp 3.3-liter V6. All are available with front-wheel drive or all-wheel drive. Available features include a blind-spot warning system, rear park assist, hill start assist, and a “smart” rear liftgate that opens automatically if you stand within three feet of the vehicle with the key fob for more than three seconds. 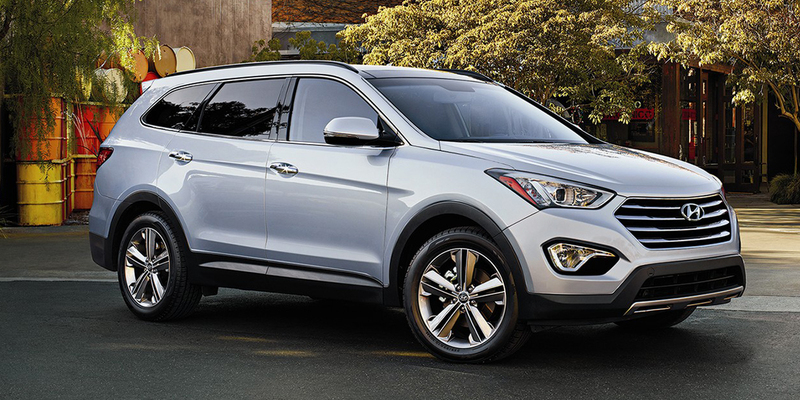 Complete information on the 2015 Hyundai Sante Fe and Santa Fe Sport was not released at the time of this writing, but we predict no significant changes. EPA estimated fuel economy for the base-engine Santa Fe Sport is 20 mpg city/27 mpg highway with front-wheel drive and 19/25 with all-wheel drive. With the Santa Fe Sport’s turbo four, those numbers are 19/27 and 18/24, respectively. The Santa Fe’s V6 is rated at 18/25 with FWD and 18/24 with AWD. 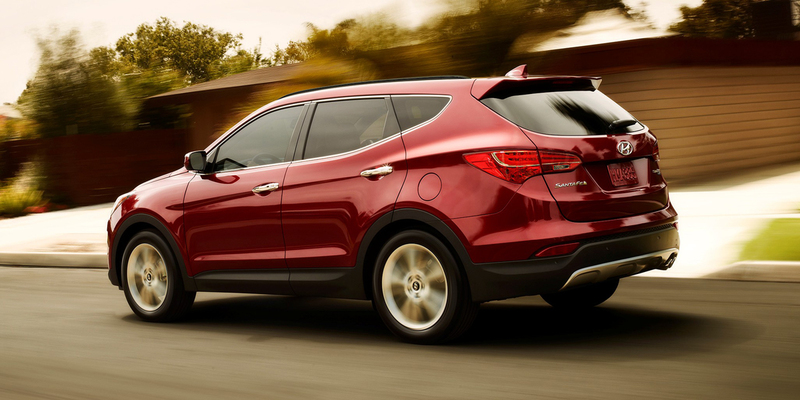 In Consumer Guide® testing, a front-wheel drive Santa Fe Limited averaged 19.9 mpg in mostly highway driving. capability, and polish they offer.